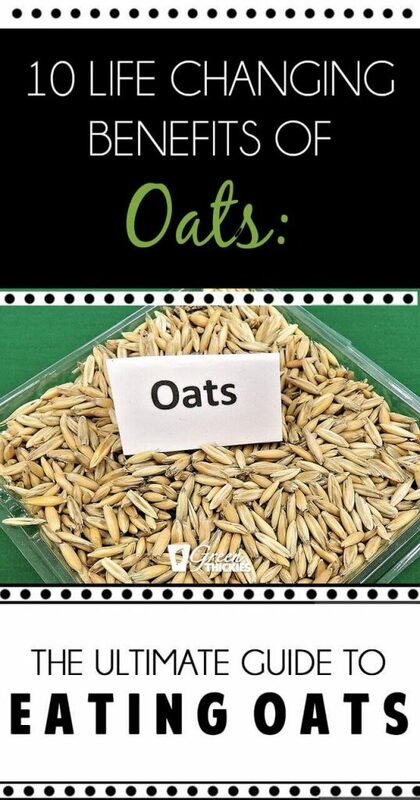 This is the only guide to oats you’ll ever need. 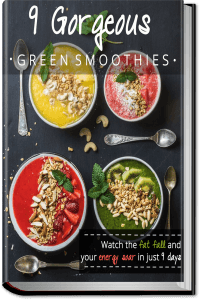 This website is home of the Green Thickie: The green meal in a glass containing fruit, greens, seeds, nuts and oats (or other fillers). 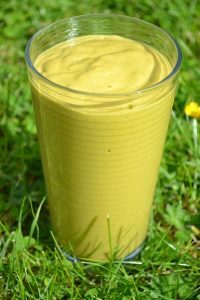 A Green Thickie is a very filling healthy delicious meal replacement drink. 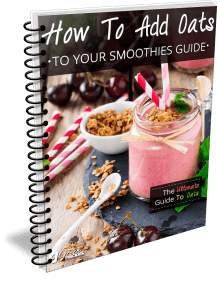 I get lots of questions about oats so hopefully this guide will help you learn more about oats even if you don’t intend to add them to your smoothies. There are so many benefits of oats it’s well worth eating them daily for good health. This guide to oats will help you understand the different types of oats and how you can use them in your meals and for your skin. 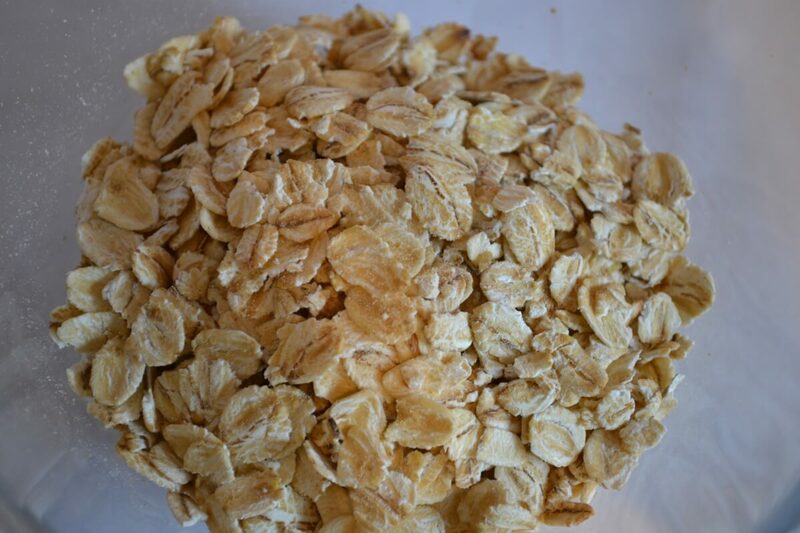 Rolled Oats: You can just throw these into your blender and they don’t need to be pre-prepared. I use this type of oats. 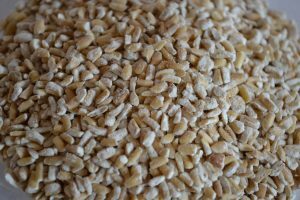 Oat Groats/ Steel Cut Oats: I soak these in water overnight, drain them (some people like to rinse) and add them to my smoothies. This is healthier but requires more organisation. I use these oat groats for my smoothies. 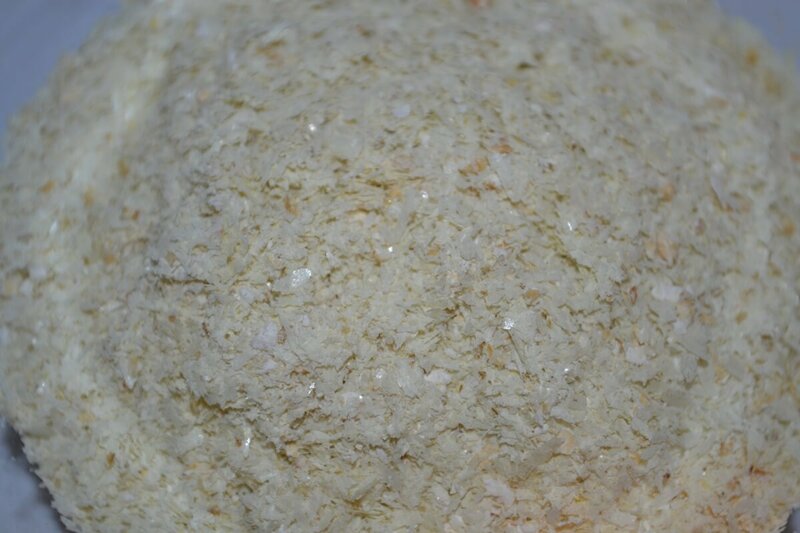 I also grind this into oat flour in my blender and use it to make muffins. If you are concerned about gluten, you can get hold of Gluten Free Oats here. I always loved oats for my breakfast. A good bowl of porridge would set me up for the day. I used to have a green smoothie followed by porridge to fill me up. When I had a baby I no longer had time to eat my porridge. 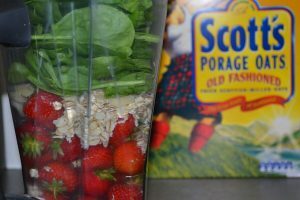 I’d just moved to Scotland recently and thought, why not embrace the national grain and add oats to my green smoothie. So I combined the green smoothie with the porridge and the Green Thickie was born. This has been my breakfast every morning now ever since. The benefits of oats in a green smoothie are that it’s extremely filling just like a bowl of porridge and it makes your smoothie so creamy. 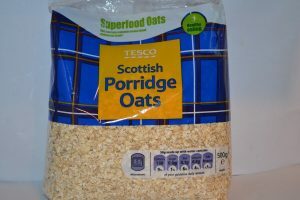 Oats have always been grown in Scotland as they grow well in cold damp conditions. 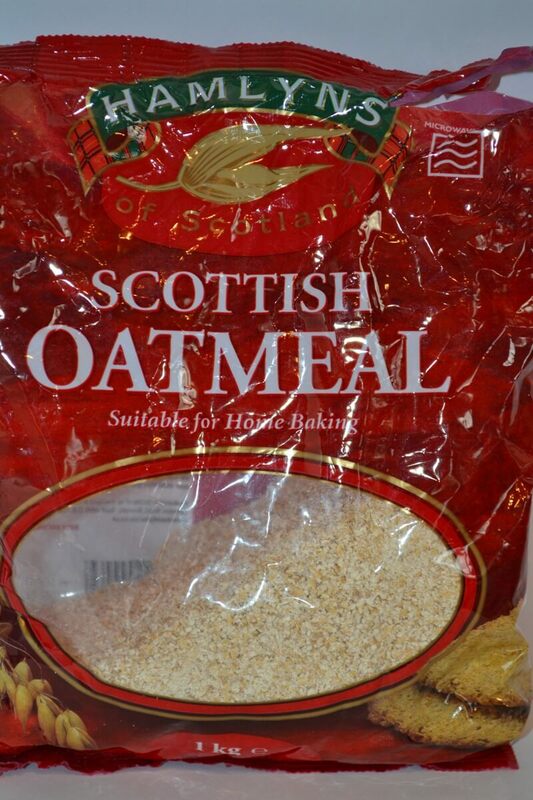 Oats have been the staple grain of the Scots diet since medieval times. They would cook a batch of porridge, keep it in a drawer and eat it for days, frying it and cutting slices off it or make it into oatcakes. There was actually a university holiday called ‘Meal Mondays’ where students would go home and go and pick oats for all their meals. 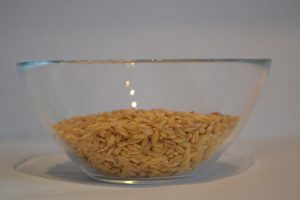 The Scots would soak their oatmeal overnight with water and a pinch of salt, which would reduce the cooking time down to just a few minutes in the morning. 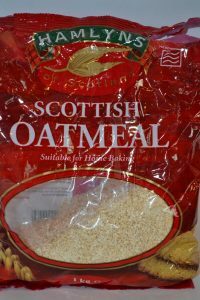 This article has some more information about history of Scottish oatmeal if you’re interested. 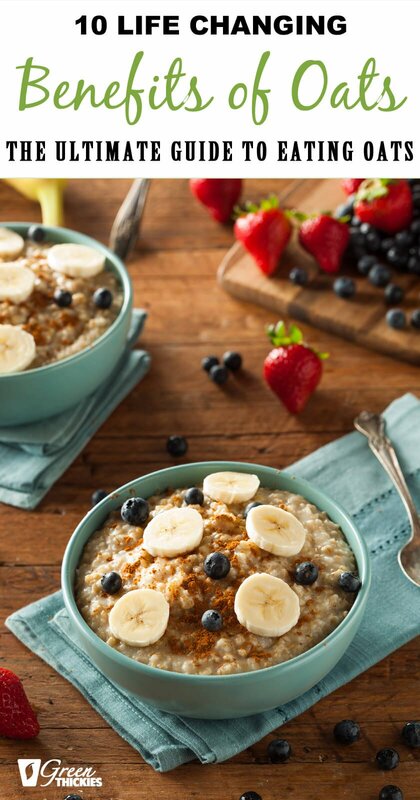 Lowers cholesterol: A study showing people who ate a bowl of oatmeal every day lowered their cholesterol by 20%. 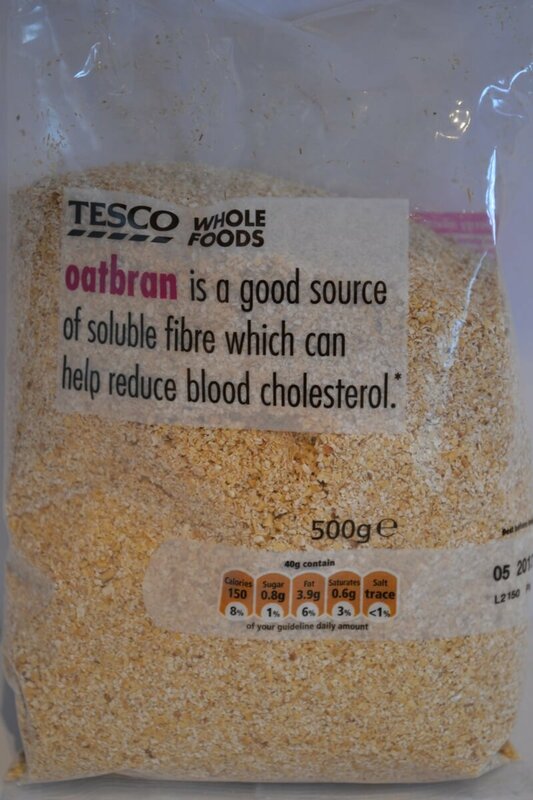 Stabilises blood sugar levels: Oats keep you fuller for longer without sugar highs and crashes. Lowers the cancer risk: Oats have high levels of fibre, which lower oestrogen levels which prevents cancer. Reduces high blood pressure: 1 in 3 adults has hypertension. Oats are high in soluble fibre which helps to reduce hypertension. Keeps bowel movements regular: The high fibre content helps speed the passage of the bowel through the body reducing constipation. Helps you lose weight: Oats help you feel fuller longer which curbs your appetite. Studies have shown that children who eat a bowl of oatmeal a day are 50% less likely to suffer from obesity. Oats help to have a longer healthier life: Oat of all the grains, oats have a higher better balance of protein, and a good balance of essential fatty acids. Oats have a great range of vitamins and minerals and beta glucan which helps the body to heal quickly. Oats are tasty: Oats have a very neutral taste so they can be added to many types of food and used for many different dishes. Oats can help you sleep: According to Dr. Oz, Oats are also good at night time to help beat insomnia. You can use any type of oats you like in your smoothies. I will list the oats below in order. The ones at the top of the list are more heavily processed so they will be easier to soak, blend and cook. But these are less nutritious and less tasty. 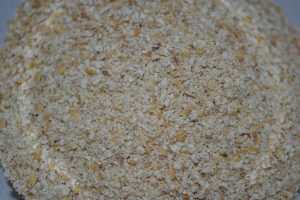 Instant Oatmeal (like this) has a flour consistency, is very heavily processed, steamed, rolled, steamed, dehydrated and then toasted. These are very easy to blend in a smoothie but the least nutritious. Only buy plain instant oats as the flavoured ones will contain sugar. 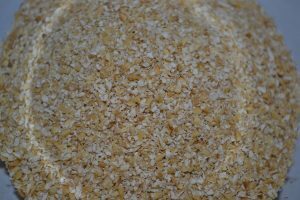 Some of the plan instant oats will contain added nutrients as a lot of the original nutrients may have been stripped away. These cook in a minute or two. You can buy Instant Oatmeal here. Porridge Oats (like this) are oats that have had their tough bran removed and then have been pre-steamed then toasted. They are then rolled as thin as possible without becoming powder, then steamed again, so they cook quickly. These should blend easily. This consistency is oat flakes and flour. These aren’t as nutritious as oatmeal, or rolled oats. 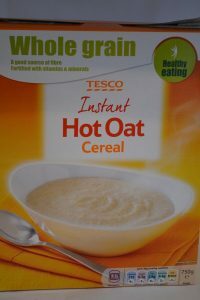 You might get more of a toasted taste with these oats which some people like. 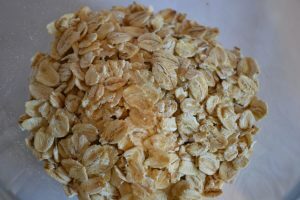 People use all types of oats for their porridge so have a look at the oats themselves, are they fine, flakes or thick flat rounds? How long does the packet say they take to cook? 1-2 minutes is instant oats, 2-5 minutes is usually quick cook oats, and jumbo oats or rolled oats usually take 6-8 minutes. 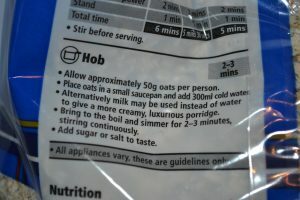 So you can tell the type of oats by the cooking directions even if it’s not obvious what type of oat are in the packet. You can buy Porridge Oats here. 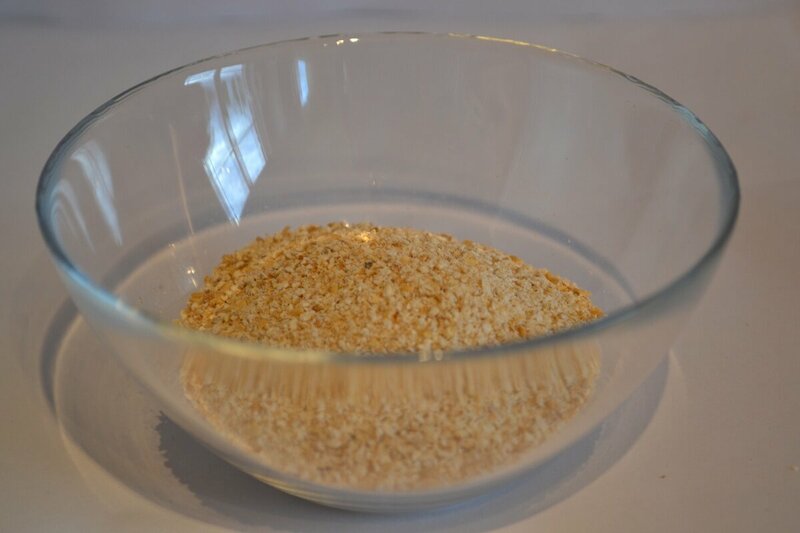 Rolled Oats (like this) are when the whole oat groat has been steamed then rolled flat and is still intact. Squashed whole oats that will take a bit longer to cook or blend. When cooking with these they retain their shape and don’t become a mush like the previous types of oats so they are harder to blend. If you blend these with a standard blender they might be a bit bitty. 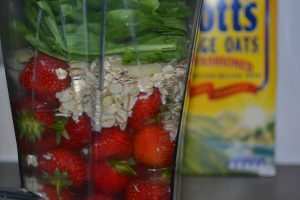 You will get a smoother smoothie if you pre-soak these oats. These are more nutritious than quick cook oats as they’ve had less processing. Rolled oats or jumbo oats take about 6 minutes to cook. You can buy Rolled Oats here. Oatmeal (Fine, Medium or Coarse) (like this) has a more coarse flour consistency than instant oatmeal. Although this is still a flour like consistency you would think this would be the next easiest to blend after instant oats but it’s not that straight forward. 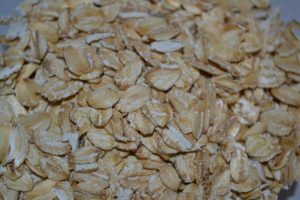 Oatmeal hasn’t usually been so heavily processed, usually it’s only been steamed and then ground, and it often still has the bran or fibrous husk attached which is ground along with the oat groat. This makes it very coarse but does give the smoothies an interesting texture (lumpy?). Oatmeal is also one of the most nutritious types of oats. 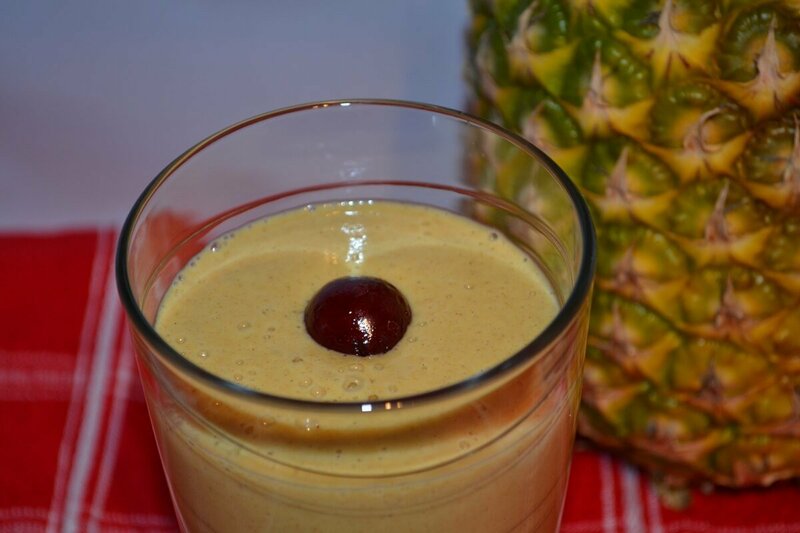 This can benefit from soaking in the liquid you intend to add to your smoothie. Oatmeal may take up to 15 minutes to cook. You can buy Oatmeal here. 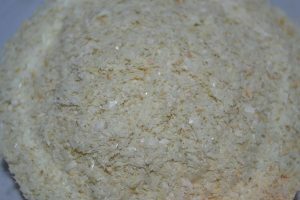 Oatbran (like this) is produced by grinding oats with the husk still attached. It is very fibrous and nutritious but more difficult to digest and it can benefit from soaking before use and might make your smoothie bitty. You can buy Oatbran here. 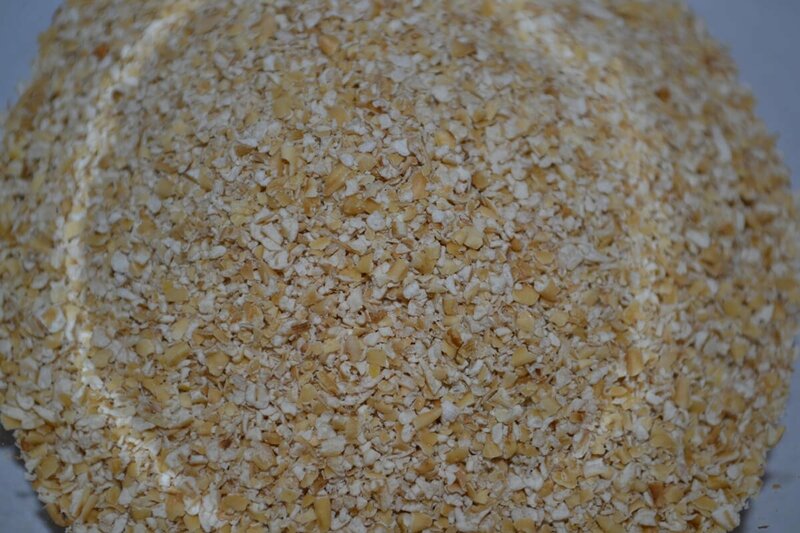 Steel Cut Oats (like this) are whole oat groats that have been steamed then cut into pieces. They are coarse and take a long time to cook and will be very hard to blend without soaking or a using high powered blender. These oats are one of the most nutritious. Steel cut oats take about 25-30 minutes to cook. You can buy Steel Cut Oats here. 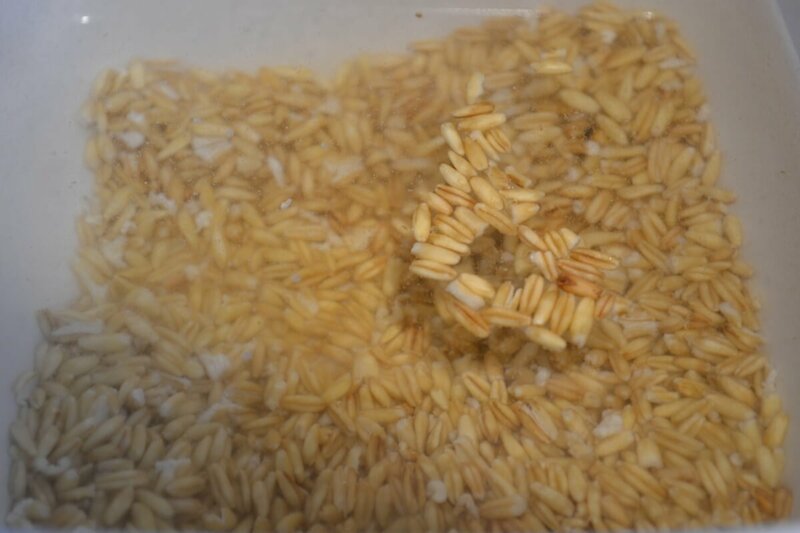 Oat Groats (like this) are whole oat groats that have just been steamed so they can be stored without going rancid. They take a long time to cook and will be very hard to blend without soaking or using a high powered blender (like this). 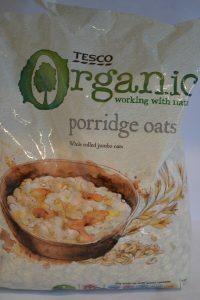 These oats are the most nutritious and in my opinion the tastiest. 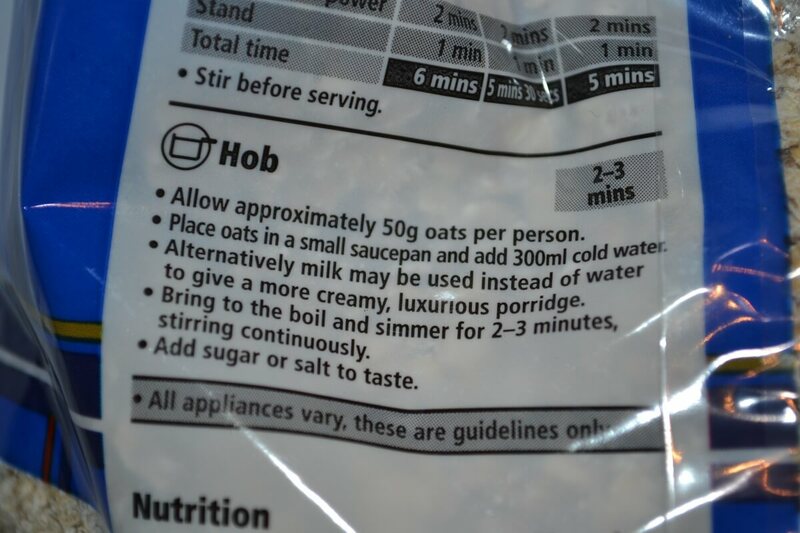 I personally use these oats more frequently as I buy them in bulk and you only need to use half the amount as when pre-soaked they double in size. So they are much more economical. I use this high powered blender too which makes them easy for me to process. They can take about 30 minutes to cook. You can buy Oat Groats here. 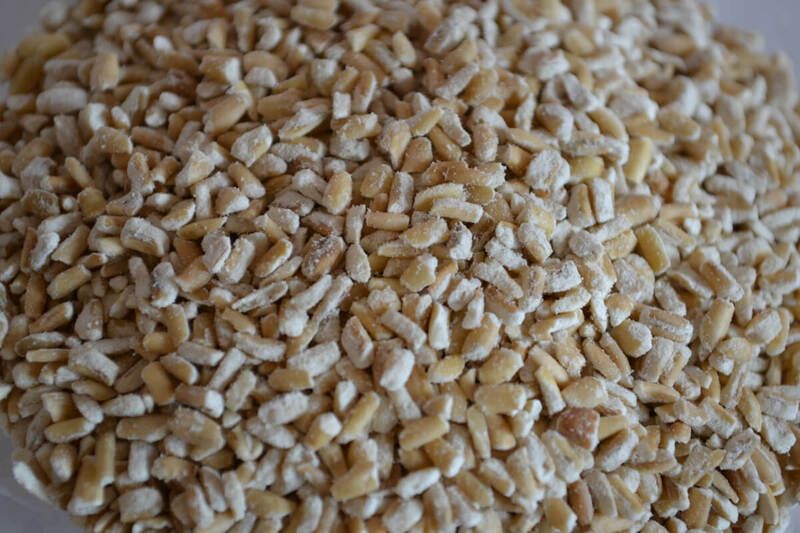 Raw Oat Groats are whole oat groats that haven’t been steamed. These will only be safe for consumption once they have been soaked overnight to break down the starch. They will be easier to digest if they are soaked from 8-12 hours, drained and rinsed then soaked for another 8-12 hours. 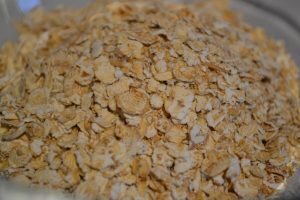 Raw oats are much more expensive but much more nutritious than all the other types of oats which have been heat treated. They might also be more difficult to digest as heat treating the oats breaks down the starch. Do I have to cook the oats before adding them to a smoothie? No, the benefits of oats in your smoothies are that you can add them straight from the packet. None of the types oats require cooking before hand. 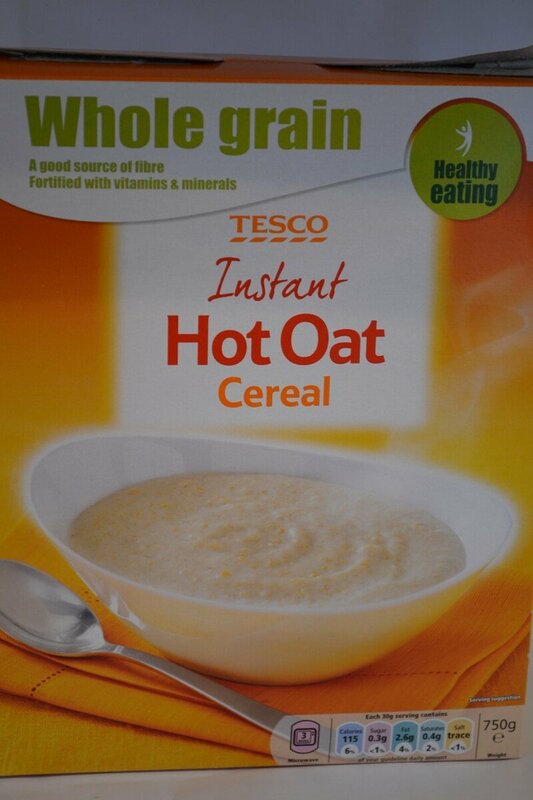 Most oats you buy in normal shops have been heat treated so you can eat them straight out of the packet. This is why you see a lot of recipes for ‘no bake’ flapjack and other oat based desserts. Oats are very versatile. Most people cook them first as they are too dry to eat without cooking. But when you add liquid to them, they can be used for a lot of different things including smoothies. Do I have to soak the oats before adding them to a smoothie? 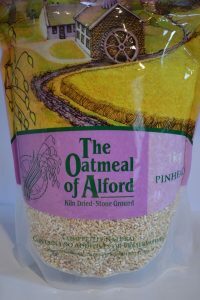 The only oats you really have to soak first are Steel Cut Oats, Oat Groats and raw oats. This is because they are in their most natural form and need the liquid to help break down the cell walls. But all oats will benefit from being soaked overnight. Soak the oats overnight in the liquid that you were going to use for the smoothie (or just enough to cover the oats) and then use it straight in your smoothie the next morning without rinsing. 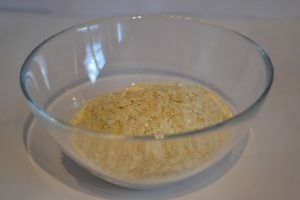 You don’t need to rinse the oats as they will have soaked up most of the liquid and a lot of the nutrients will now be in the liquid. 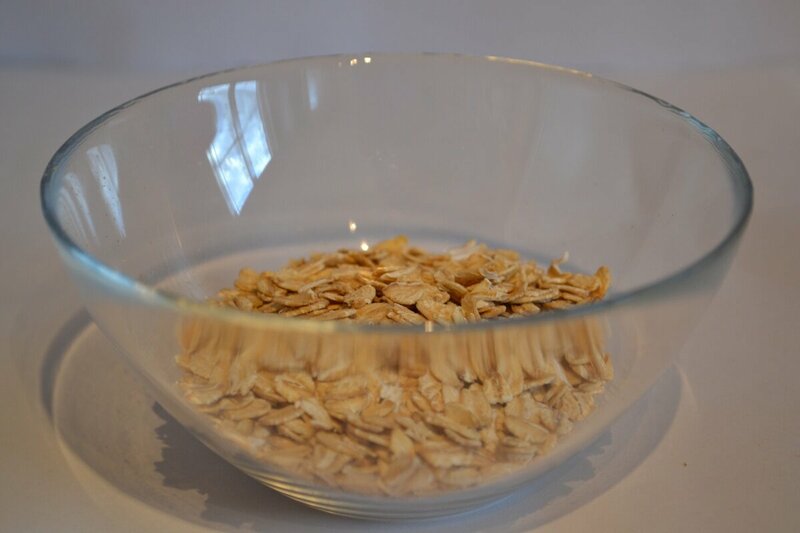 You should soak your oats at room temperature unless you are using milk, they you can soak it in the fridge. Another way to use Steel Cut Oats and Oat Groats is to blend them in your smoothie and then store your smoothie in the fridge overnight. This will also break down the starch in the oats and make it easier to digest in the morning. Although, you only really need to soak Steel Cut Oats and Oat Groats before use, all oats will break down a lot easier with pre-soaking. 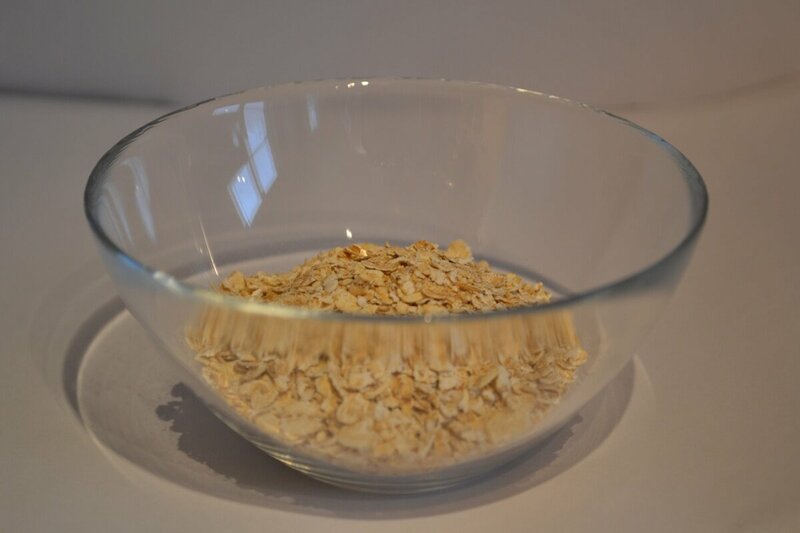 If you are soaking Instant Oats, Quick Cook Oats, Porridge Oats or Oatmeal, ensure you cover the container as they will absorb so much liquids that your bowl of oats will resemble a thick porridge and will start to form a crust when it’s in contact with the air. 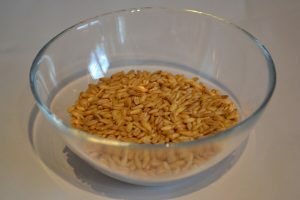 Oat Groats, Steel Cut Oats and Rolled Oats should retain their form when soaked in liquid. 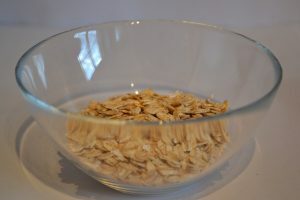 Some Oatmeal can also benefit from being soaked as it’s got the tough bran outer layer still attached, which can make it difficult to digest without soaking or cooking. 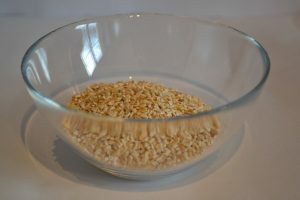 Soaking of all oats is recommended as it will be easier to blend and easier to digest. So either soak in a bowl of the liquid from the smoothie overnight or make your smoothie at night time and keep it in the fridge. If you keep your whole smoothie in the fridge overnight, a lot of the nutrients will be lost but if this is the only way you will ensure you have your green thickie ready for when you get up in the morning, this is better than not having one at all. I actually make my Green Thickies the day before as now that I have a baby, the first thing I need to do in the morning is feed her. So I need to have the Green Thickies ready so my husband can take his to work with him as soon as he gets up. It also ensures they are nice and cool as sometimes they get a bit warm from the blender if you’re not using frozen fruit or ice cubes. If you don’t have time to pre-soak, don’t worry you can still blend dry oats in your Green Thickie and drink them straight away, it’s just not as easy on your blender or your digestion, and your smoothie won’t be as smooth. 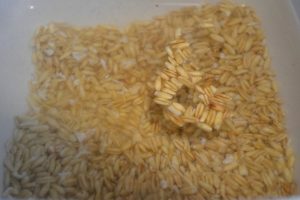 Should I be concerned about Phytic Acid in oats? 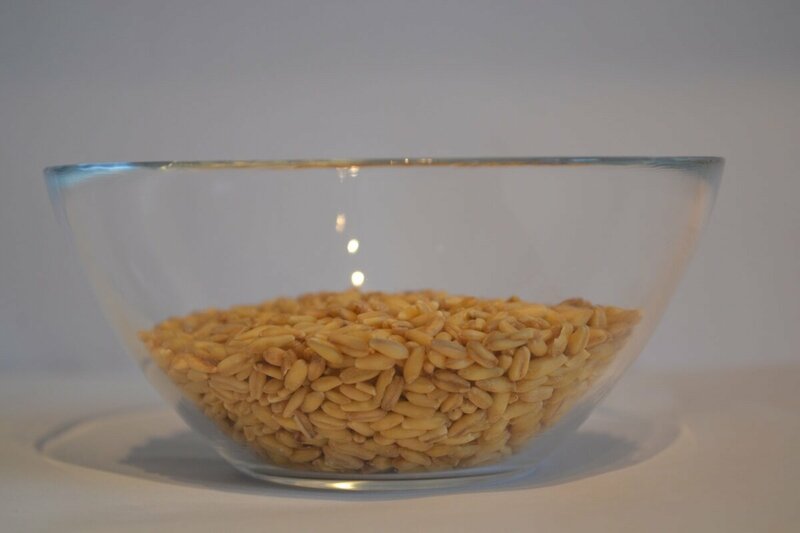 Some people are worried about the amount of phytic acid in oats but as the oats soak up the liquid, you can’t reduce these levels very much and I still believe the health benefits of oats greatly outweigh any drawbacks. Phytic acide is found in a lot of grains, nuts, seeds and spinach so it’s very difficult to eliminate from the diet so I personally don’t worry about it too much. However if you are concerned or if you want to read more about phytic acid, this is a good place to start. Some people are more sensitive to phytic acid than others but it will benefit everyone to soak all their grains, nuts and seeds before use. Others have noticed health improvements by eliminating grains entirely from their diet. Should I add the soaking water to my smoothie? The soaking water will contain extra phytates. 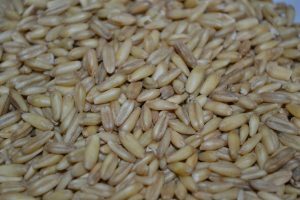 With more processed oats (like this), there will be less phytates in them to start with as they are destroyed with the cooking process. You won’t be able to separate the water from the liquid once the oats have absorbed the liquid so you’ll have no choice but to add this to your smoothie. With the more unprocessed oats such as Oat Groats and Rolled Oats, you will still be able to pour of the liquid and the oats will retain their shape ready to be added to the blender. So in this instance it’s totally up to you whether you add the liquid or not to the blender. Some sources say if you have a problem with anemia you should drain and rinse the oats before use so you don’t consume too many phytates as they bind with exces iron in the system. 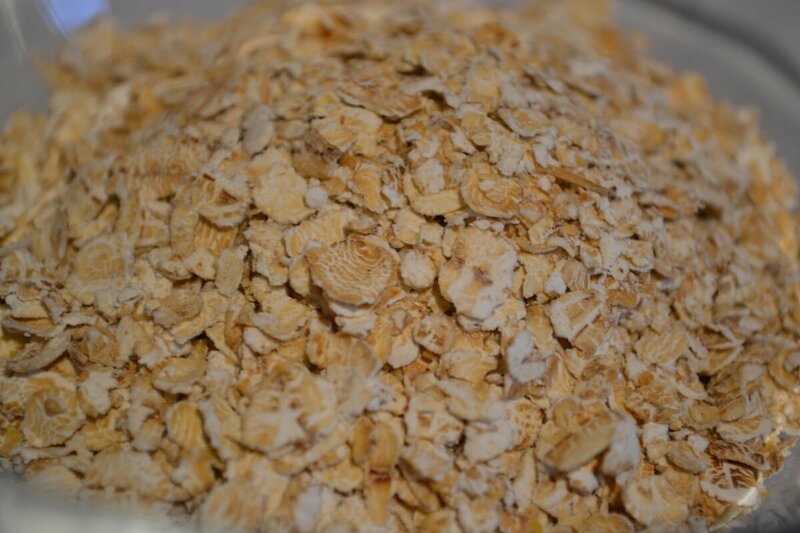 Oats do contain some gluten called Avenin, but it is a bit different to the gluten found in wheat. Some people with Celiac Disease can tolerate oats. 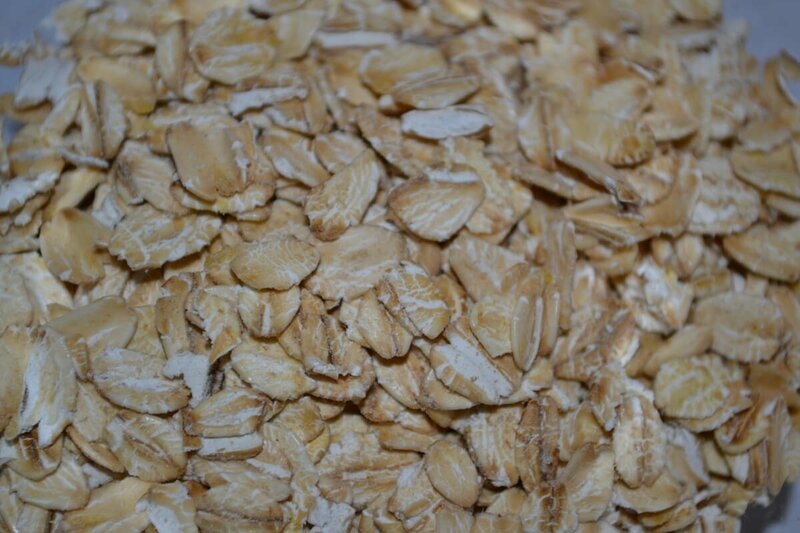 Most oats have been cross-contaminated with gluten at the farm where it is produced. If you are Celiac, you should talk to your doctor first before trying oats. Oat Groats hardly have any gluten in them. You can grind your own groats to make flour. 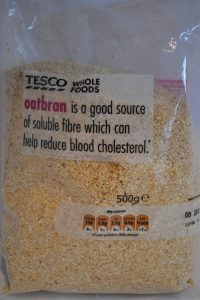 You can also buy Gluten Free Oats here which are often made with oat groats. There are so many benefits of oats that you’re probably wondering how to make sure you can include oats in your meals every single day. Here are some great ways to use oats in your food. Make a Green Thickie with them. Add oats to your smoothie or your green smoothie to make it into a filling meal which will keep you going all morning. You can get 9 Gorgeous Green Thickie recipes here. Can thicken sauces and soups instead of corn flour. It is better to grind it first before adding it to sauces. Add it to the sauce while it’s heating until it thickens. 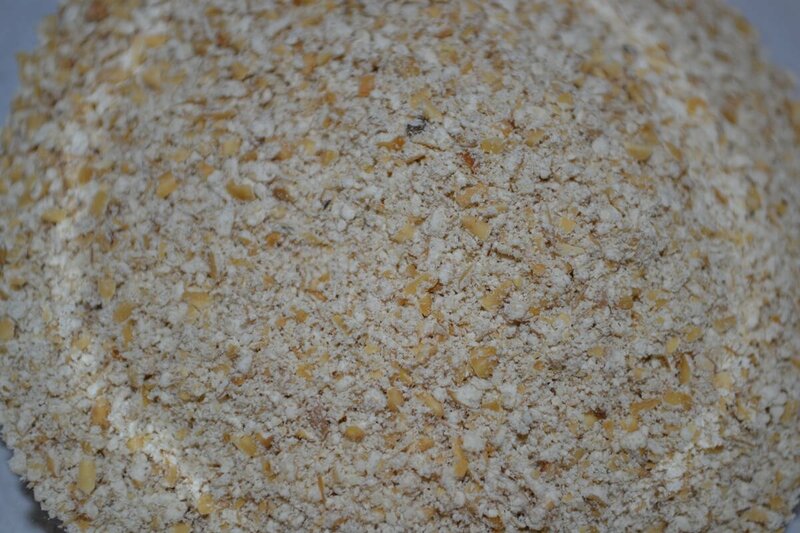 You can replace breadcrumbs for oats. Use it as a coating for tofu. Dip your tofu in dairy free milk then in oatmeal, then fry it for a crispy coating. You can make pancakes from oatmeal. You can make many unbake recipes such as healthy flapjacks that aren’t cooked. You can make overnight oats. 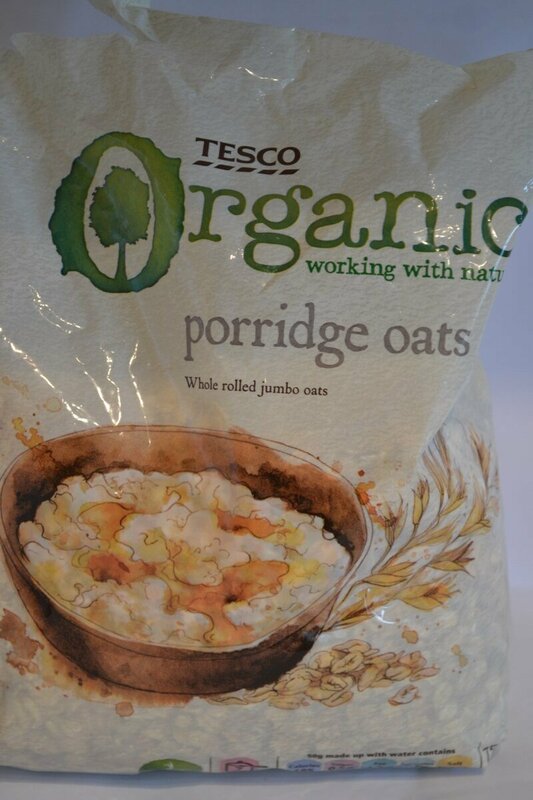 Just soak your porridge oats in the fridge overnight and wake up to porridge that you can eat straight away. 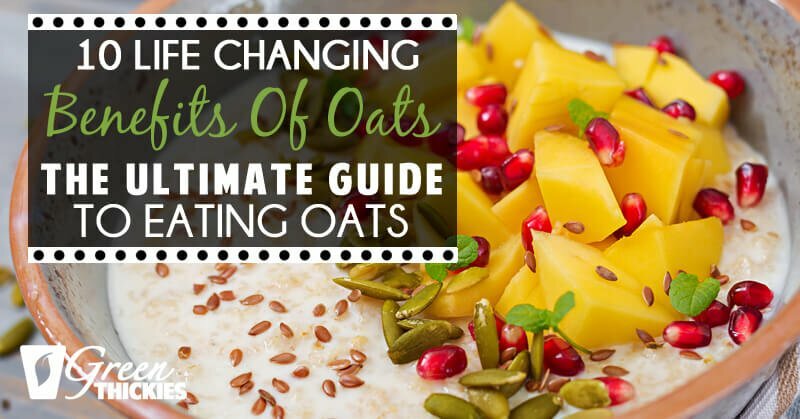 If you thought there couldn’t possibly be any more benefits of oats, I’ve managed to find some! Not only are oats great for the inside of your body but they are good for the outside too. They are hypoallergenic so they are great for people with eczema for soothing the skin. Put a handful of oatmeal in a bowl and add enough warm water to make up a paste. Apply it to your face avoiding the eye area and gently scrub. If you add oatmeal to your bath, it with soothe and soften your skin in a very gently way and cost you pennies. Add the oatmeal to the mesh bag and close it. Add the bag to the running bath water. Have a lovely relaxing soak in the bath and emerge with very soft skin all over. I hope you enjoyed learning more about oats. If you have any other questions or comments about oats, I’d love to hear about them in the comments below. What is your favourite type of oats and how do you use them? 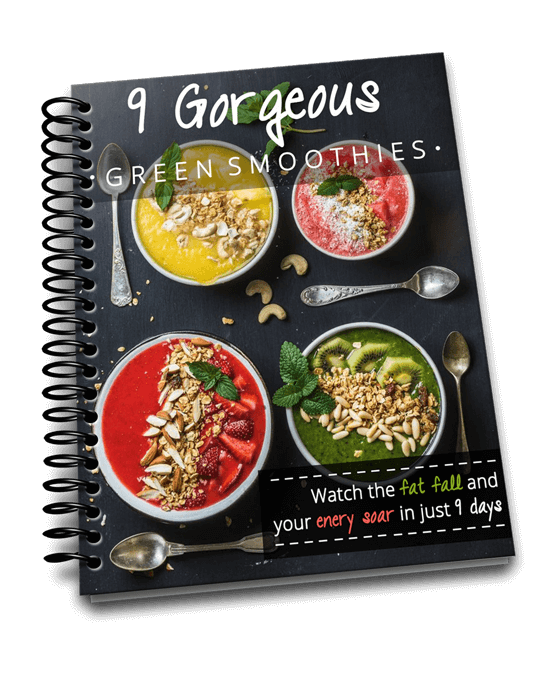 And if you’d love to learn more, you can get my FREE 12 day green smoothie e-course by clicking here. I CANT THANK YOU ENOUGH,U SURE HAVE SAVED MY LIFE HEALTH WISE. AM ON A LIFESTYLE CHANGE TO LOSE WEIGHT AND ENJOY MY YOUNG ADULT LIFE,UR VERY INSPIRING THANK YOU. That’s great you are changing your lifestyle so you can enjoy your life more. I’m glad you got some benefit from my website. Thank you for visiting Green Thickies. Great site.. thanks for writing this up! Thanks for such a great resource Katharine! Way to make people’s lives healthier and happier! I just moved to Arizona and I am blessed to have some giant aloe vera plants already growing right outside my front door, so I am enjoying a thick slice of filleted aloe in each of my morning smoothies! Yum! Here’s an idea you might try, since you need to have your smoothie already ready in the morning…put everything in the blender the night before and then just push the button in the morning. It would be as fresh as ever. Just an idea. I already kind of do that because while making a smoothie I wash and cut a lot of fruit and veggies at a time sometimes, and put the rest into a tupperware container or a bag. Then I just dump the assortment, or part of it, into the blender whenever I want a smoothie again. Saves time on getting everything out, clean-up, etc… Breakfast in 5 minutes flat including clean-up! i am having oats every morning just take some milk , mix some oats with choco powder, leave for 10 minutes then add fruits and nuts and just drink it. easy and tasty with health , but is it okay to consume it every day? That sounds great. I’m glad you are enjoying your healthy breakfast. If you find it agreeing with you and find you are in good health them I’m sure it’s fine to do that every morning. Some people are sensitive to too much chocolate powder but others swear by it. I personally have to limit my cocoa intake. I am keeping a copy of your article so that I know what I am looking at next time I am at the supermarket ! That’s great. 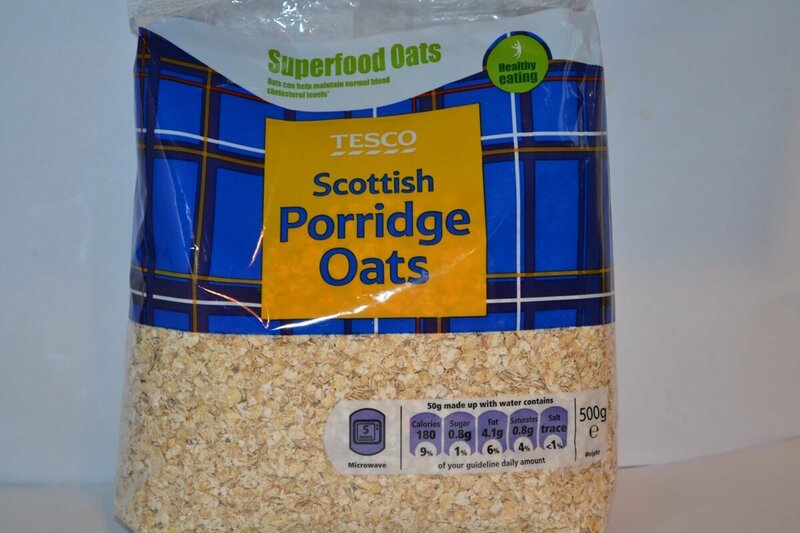 I now live in Scotland so it’s easier to find steel cut oats in the supermarket. Sometimes they are called pinhead oatmeal though so look out for those. 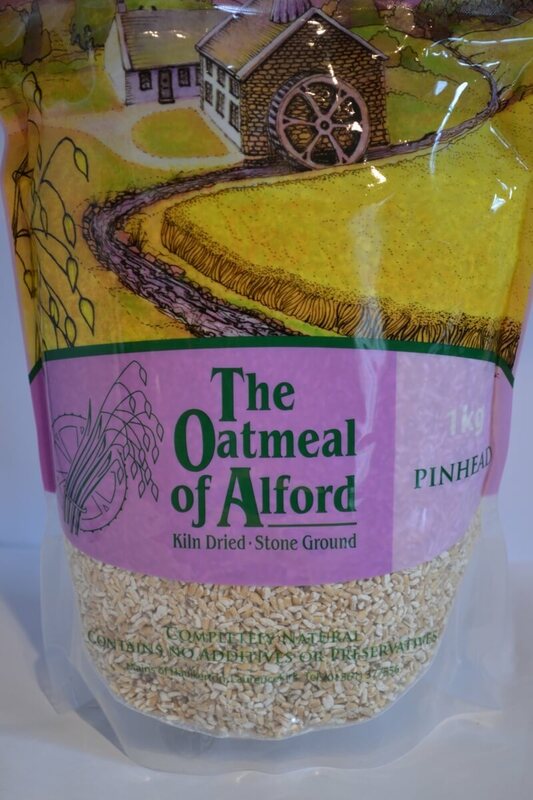 I have to go to the health food shop to buy my oat groats and I get about £3KG for £3 which I think is a great price as they are about £4 online plus £3 postage like you say. Maybe try a health food shop as they usually have more oat options and most are willing to order them in for you even if they don’t stock them. Which do I choose for the healthiest and not have to cook before hand? My local store was out in the normal and organic bulk sections (annoying) so I just bought cooking oats. Can I just throw these into my thickie or should I be choosing something else ? Ha ha! Sorry you’re still confused! Yes cooking oats are fine and healthy for smoothies and yes you can just throw these in. That is probably your best option as they blend the easiest, are cheapest and still healthy and you don’t need to soak them. So happy I found your site! I started replacing one meal a day with a green smoothie, but I’m looking forward to trying the green thickies. I want to lose a couple of pounds, but more difficult is the task I’ve set of using no added sugar or sweeteners in my diet for six months. Fruity smoothies are the perfect foil to my cravings. I’m looking forward to trying out many of your recipes. Thank you, I hope you like them. I don’t eat any added sugar in anything apart from sugar in fruit. I add date paste to a lot of my food if it needs sugar and that works really well for me. which type is best to lose weight? Thank you. I think the more whole the oats are when you eat them, the better they are for you, the more they fill you up and help you lose weight. 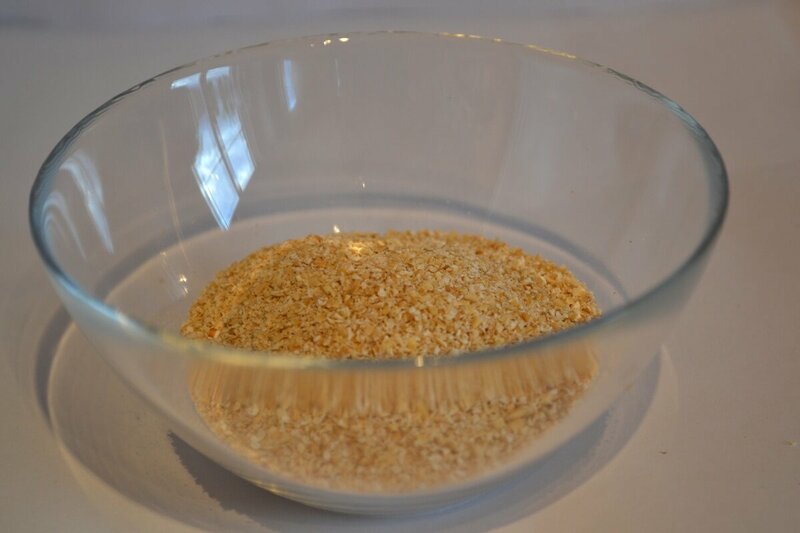 So I’d say oat groats are probably better in that respect but they take more time and organisation so any oats without any added ingredients will be fine to help you lose weight and eat a healthy diet. This information is priceless. I was wondering how I could stay fuller longer while drinking green smoothies. WOW! Amazing Post! LOVE it! Job well done! Lots of work went into this and it hasn’t gone un-noticed! Thanks!!!! Swing by my place when you have time! 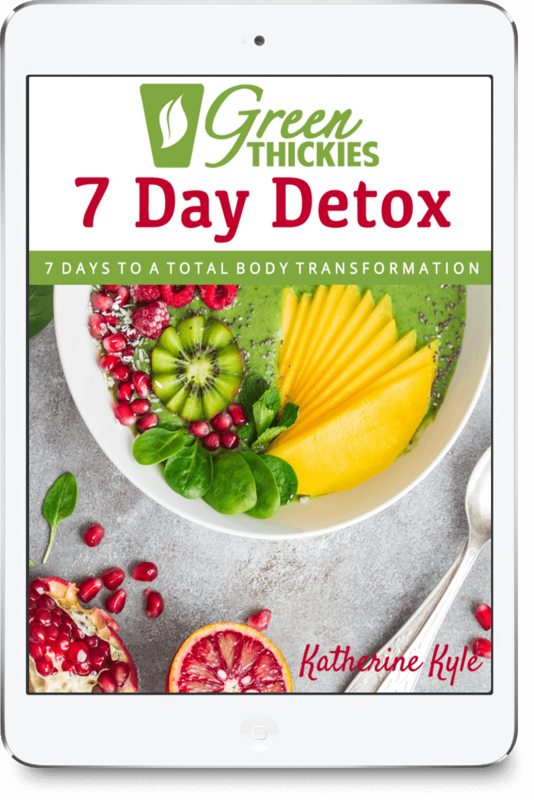 Hi Katherine, your information about phytates is contrary to what Sally Fallon in Nourishing Traditions says. Sally missed a few things but her research is pretty solid. Yet I am thinking you might have something. Doing a little more reading. At this point I cannot get past the idea that phytates are better avoided by most people since they make us acidic (most people are too acidic) and most of us need more minerals. I also see you differing on soaking. The most persuasive information I have seen is leaning toward soaking oats and throwing away that phytic acid at all costs. 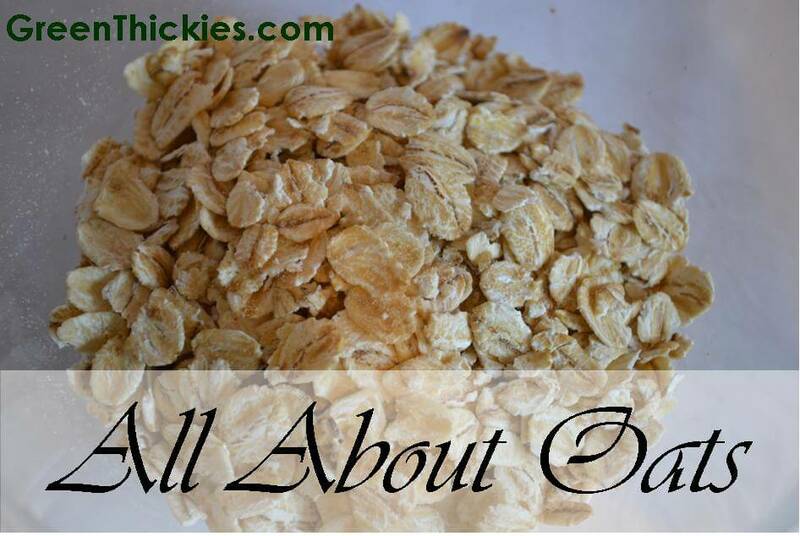 Katherine, what a great comprehensive article on oats! I usually do make a filling, carb-filled meal out of my green smoothie using lots of fruit. I had gotten away from using oats because I was worried about digestion. 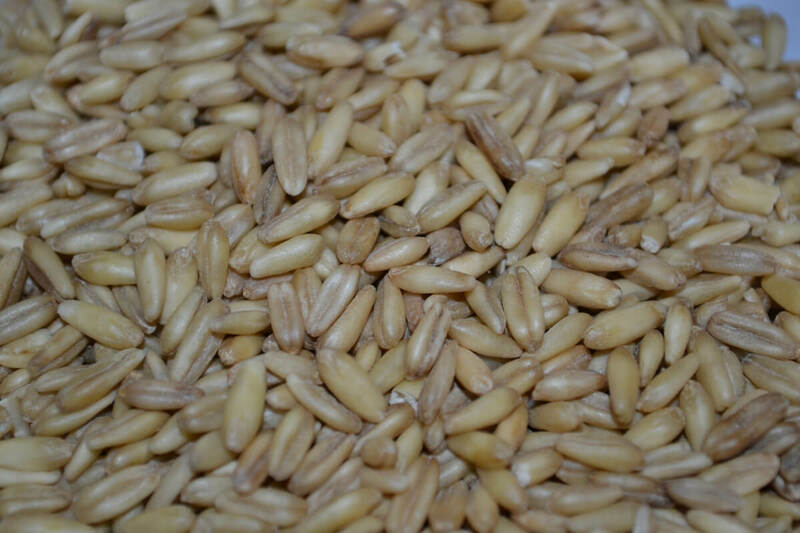 Do you have any experience with using raw oat groats? Since they aren’t steamed before drying, I’ve had them go rancid on me quite quickly in the past. You have inspired me to try again! 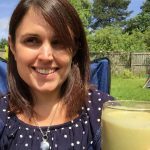 I am concerned about all the carbs in oats as I’m looking to reduce carbs in my diet at the same time smoothies without oats aren’t thick enough. Your thoughts?